For whatever reason, many educators continue to award a higher rank (or grade) to the student who learned something sooner than another student. Maybe we could refer to this as the Christopher Columbus Effect (CCE)*. Don’t get me wrong; a fair degree of earned notoriety does come with being first. Neil Armstrong, Emila Erhardt and anyone else who achieved a notable ‘first’ deserves as many medals as we can mint. But does the CCE apply to my Geography lesson? Arguably not. Perhaps in the realm of the classroom, IF it is learned should trump WHEN it is learned a little more often. When has it ever been relevant that you used to not be good at something? If I made comments like this I would have even fewer friends than I do now. What possible relevance would there be to pointing out to someone who just learned something that some sort of bizarre chronology rendered the accomplishment less meaningful? However, in schools we have acted in a similar manner for quite some time. Despite overwhelming evidence, in fact our very own test data, we often ignore the manifestation of learning WHEN it does not conform to a specific timeline. Teacher: “Too bad the test was yesterday. In attempting to remain consistent with the real life conversation, there are times WHEN a student must perform, and indicate in the moment IF he has learned the material. Perhaps the teacher’s suggestion of ‘studying sooner’ is good advice. In a school system that relies on timelines and schedules, we cannot ignore the reality that WHEN often matters. I personally feel that teachers who offer seemingly limitless reassessment opportunities are not only compromising the authenticity of the assessment data, but are also setting up students for a nasty shock should they encounter a more rigid testing system. We cannot ask our teachers to grade reams of assignments and tests every time a student feels that an improvement is possible. Furthermore, there is a time when we must move on. If you drop a jar of pennies on the pavement while waiting for a bus, you may be forced to make the decision to leave a few behind in order to catch the bus before it leaves. Advancing forward at times comes at the expense of leaving something behind. That is real life. (keep in mind you could wait to catch the next bus, which would cost more time). 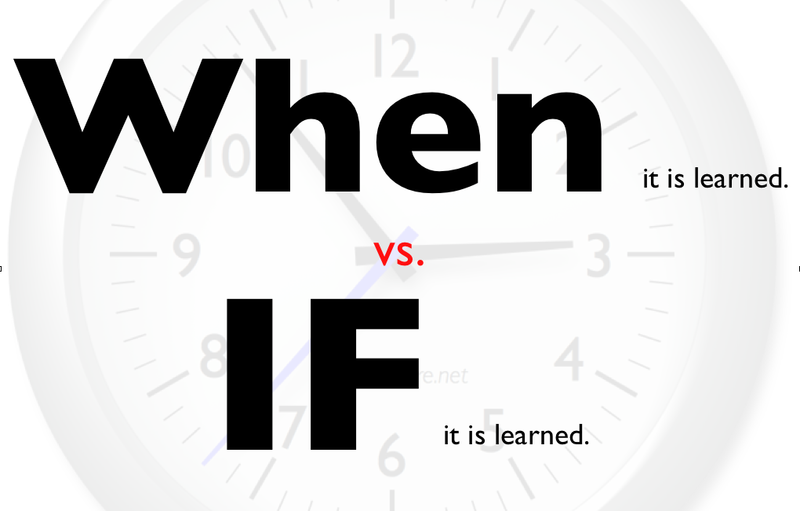 Perhaps educators need to continually search for a balance in the WHEN vs. IF saga. Consider a quote from a very capable student who experienced my retesting system in History 12 and observed it as a peer tutor in my grade 9 classroom. Question: What do you think of the retesting system, especially seeing it from the ‘outside’ as a peer tutor. Testing is quite a cold, calculated experience – in my opinion, the testing experience is in contrast to what school is all about. I have heard teachers say that testing once is crucial because the world is not one of second chances – I tend to disagree. Sure there are times where that is true, but I think it is the exception rather than the rule. …I mean, on one hand, I’ll joke with a teacher and be cordial. Everyday seems to be “happy day”, until test day, and then it is suddenly cut-throat. That guy over there figured it out before you did, he got it right on the day he was supposed to, and so he is ranked higher. This type of testing system is inconsistent with what school should be. That said, I am not suggesting retest after retest, that is impractical, but at least giving a student one more chance will indicate what they know and don’t know. The idea is to learn, not be punished for not learning faster. I have come up with a one possible solution to the WHEN vs. IF struggle that also complies with my ‘grade smarter, not harder’ philosophy. I have come to refer to it as the ‘Double Dip’. In the Double Dip system I match the value of mid-unit quizzes with the corresponding values on the unit test. A 5-point quiz on ‘directions’ taken on March 5th will be matched with a 5 or 10-point ‘directions’ section found on the unit test 2 weeks later. Students can be informed prior to the unit test that a Double Dip opportunity awaits them. Anyone who has learned more about directions since March 5th can demonstrate that on the unit test and replace the quiz score with an updated, and usually higher, test section score. 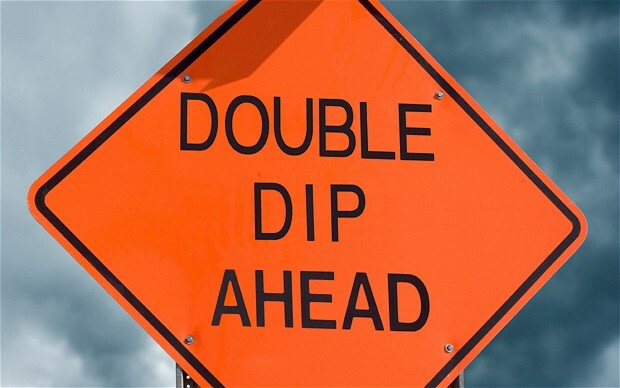 Students who need a little more encouragement to study for the unit test may find the Double Dip opportunity to be a healthy nudge. It is rare that a student scores lower on the test section compared to the previous quiz, but when this happens I attempt to investigate the causes. In most cases the student is confused or made a simple error and is offered the chance to reestablish a good score on the unit test reassessment (and usually this is limited to one opportunity). Teachers who are already burdened with a heavy grading load will appreciate that the ‘Double Dip’ system does not require the construction of a new set of ‘directions’ quizzes, and nor does it require another session of grading. Even the tracking of the improvements can be placed upon the students and lead to a sense of responsibility and empowerment. 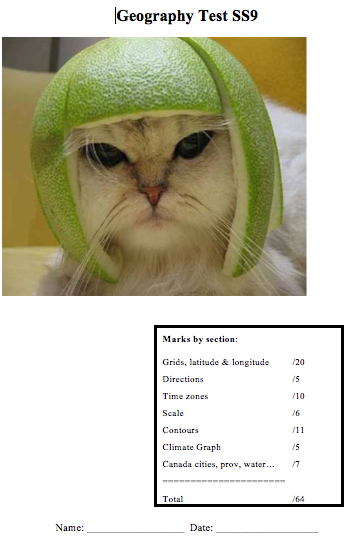 I have asked students to track the original quiz scores and to notify me of an increase on the corresponding test. The WHEN vs. IF conversation is alive and well in my current circles of educational collaboration and this dialogue is healthy and refreshingly contemporary. I see the need for educators to align on a common belief and then to look for practices that more closely align to that belief. Perhaps most people agree that IF something is learned does trump WHEN it occurred. What might be needed as a next step are more examples of how to measure IF learning occurred within a system that has time and energy constraints. SESSION TITLE: Creativity Is Great, but How Do Educators Assess It? As well, I will be a panelist at the ASCD writers information session on Sunday, March 16, 1:00-2:30. * Christopher Columbus is considered by many to have ‘discovered’ North America, but from a European perspective. Great challenge, Myron! Asking questions rather than making bold statements is the way to get the folks to think. Hi There! I looked you up because of a recent confernce that teachers were raving about. My question in regards to your Double Dip post: What good is teaching only content knowledge when there are no deadlines or task management involved? As middle and high school teachers, we are teaching more than content. Organizational skills, priorities, deadlines, self managment are all required to be successful in life, in fact, sometimes more important than straight content knowledge. Most employers are not going to give employees a second, third or fourth pass at a project. If common core is training kids to think critically for an easy transition into college OR the workforce, the ability to meet deadlines is important. If everyone makes up their own deadlines, they are going to face difficulty in college or the workforce. First of all Cris, thanks for writing. In reading your post comment, there are parts of your argument that are not all that far off from mine. I think it is very important to instil a strong work ethic in our youth. Lots of other things are important too: Showing up on time. Showing up prepared. Showing up constantly. Showing up in uniform or appropriate work dress. Taking initiative without having the boss telling you to do it. Aren’t those qualities even entry level employers value? I would argue yes. In fact, these are all lovely traits and ones that would whole-heartedly endorse. Do you think that assigning grades to these things will encourage the reluctant to oblige? My late form, which I shared at the conference, is an attempt to get an honest answer from students about why something is late, and to attempt to rectify the situation with an applicable response. The response would ideally be a CONSEQUENCE that is effective in deterring the behaviour. I have worked in a feed mill, as a lawns keeper, for UPS, and eventually as both a teacher and an administrator. In each of my occupations I have arrived late to work from time to time and I was never fired. I was not chronically late mind you and that may have saved my status as one of the dutifully employed. That said however, I did work along side people who were notoriously late – including teachers. I can recall a worker at the feed mill who was regularly late, but he was very good at what he did. The company did not fire him, as he was good at everything he did, other than his ability to show up on time. In fact, he eventually went on to fill a management position in the establishment, and did a good job! Back to teachers, I do not know if your school is the same, but I find that a certain cohort of teachers is predictably late handing in marks, report cards and award nominations – regardless of how often they are reminded. Are they fired? No, and I do not think they should be. I am a BIG believer in consequences…I just think it is important to select consequences that are closely linked to the infraction. When I do not pay my car payment what happens? I receive a late fee. This is a good consequence – a payment issue is tied to a late fee…payment/fee. 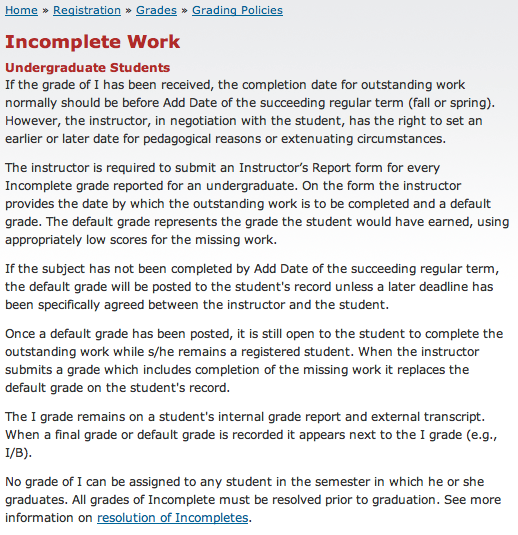 Some teachers are led to believe that a grading deduction should be applied to late or missing assignments. How is levying a grading penalty (grades that are supposed to measure the extent to which something is learned) for a behaviour of any use to anyone? Do you want to compromise your grades on account of behaviours? Does your educational jurisdiction ask you to grade on behaviours? Perhaps you are teaching a behaviours course, and in that case grade behaviours: apply grade penalties to lates, tardiness, truancy. If I continue to not pay eventually one day coming out of Dollar General, the repo man is towing my car away. Consequences, consequences. Do you care if your car is towed away?….probably the answer is yes. And if you care, then likely the penalty will be effective. My argument is that many students simply do not care about the grading penalties levied, and if we do use them, then our grades are compromised – a double-whammy. I think we both want students who are prepared to function effectively in society and I think that being a person who is fair, responsible and honest is the way to go and will serve you well in whatever occupation you choose – would you agree? I think we have a duty to teach the valuable life skills you mentioned. A few years ago I stopped giving zeros for work that was missing and I stopped taking off deductions for work that was late. Instead, I sought to implemented behavioural consequences (homework room, stay in at lunch, stay in after school, etc…). I also implemented a policy that a grade was INCOMPLETE until all elements of the course were completed. I was shocked at the reaction from my students – they asked me for zeros! In a few cases they pleaded. Clearly my old mantra of zeros as a deterrent was not all that effective. When I took off grades for late work, I found I was constantly deducting for the same students and that the final results of their grades were convoluted. I whole heartedly endorse that schooling as partly about life skills, but every jurisdiction in which I have been employed or visited asks that we grade students according to a set of standards, and I have yet to see that the educational authority requests that we blend behaviours (life skills) into the mix. I think the sooner that we separate life skills from grading the better every one will be as students will take the life skills portion a lot more seriously. Perhaps you only got part of my message from those who attended the session.